Since 1990, signals from global positioning system (GPS) satellites have been recorded by networks worldwide. From these GPS observations the zenith total delay (ZTD) can be computed. Using surface measurements of pressure and temperature, these ZTD values can be turned into water vapour amount and used for atmospheric research. The main aim of the COST action ES1206 “Advanced Global Navigation Satellite Systems tropospheric products for monitoring severe weather events and climate” (GNSS4SWEC) is to coordinate the research and the development of new, advanced tropospheric products derived from GNSS signal delays, exploiting the full potential of multi-GNSS (GPS, GLONASS and Galileo) water vapour estimates on a wide range of temporal and spatial scales, from real-time monitoring and forecasting of severe weather to climate research. The potential impacts of this work are great: improved severe weather forecasting, leading to a decreased risk to life and national infrastructure; improvement of climate projections also has major global significance. In addition the action will promote the use of meteorological data in GNSS positioning, navigation, and timing services. improvement of the temporal and spatial resolution capability of GNSS water vapour remote sensing. the development of forecasting tools (water vapour maps, convective indexes, alarm systems, etc.) for nowcasting and severe weather events. The assessment of these GNSS tropospheric products (see first point) derived from a common benchmark reference data set. The assessment of the standardized methods/tools for NWP/nowcasting (see second point) based on the GNSS products built on the benchmark data set. analysing the variability and trends in GNSS-based water vapour retrievals. Establishment of new GNSS analysis centres for monitoring the atmosphere. monitoring the other components of the hydrological cycle (soil moisture, snow cover, terrestrial water storage) with GNSS. A Mesoscale Convective System (MCS) is a cloud system that occurs in connection with an ensemble of thunderstorms and produces a contiguous precipitation area on the order of 100 km or more. Numerous questions related to MCSs remain only very partly answered (their life cycle, interactions between physical processes and atmospheric circulations). This study shows how GPS technique can provide relevant and complementary information on MCSs passing over or in the vicinity of observation stations. 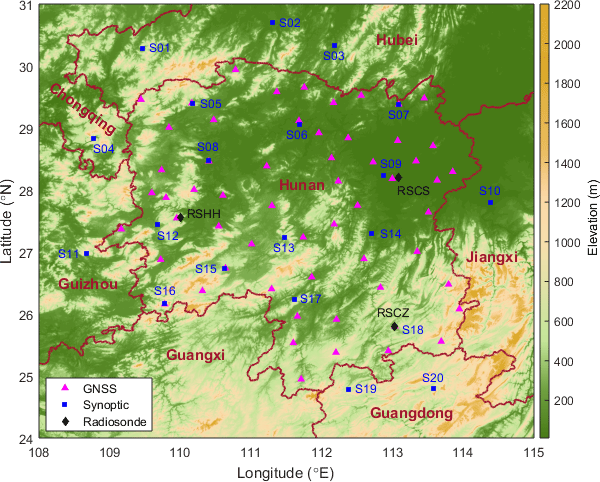 In the study, the potential of GNSS tomography as an important supplementary data source for Numerical Weather Prediction models was examined. We used the two GNSS tomography models (TUW, WUELS) in different configurations. The GNSS tomography outputs were assimilated into the WRF model using a radio occultation observations operator (non-standard approach). Promising results show the improvement in the weather forecasting of relative humidity and temperature during heavy precipitation events. We examine the consistency of global IWV data from ERA-Interim reanalysis and 16 years of GPS observations. Representativeness differences are found to be a dominant error source, with a strong dependence on geographic, topographic, and climatic features, which explain both average and extreme differences. A methodology for reducing the representativeness errors and detecting the extreme, outlying, cases is discussed. 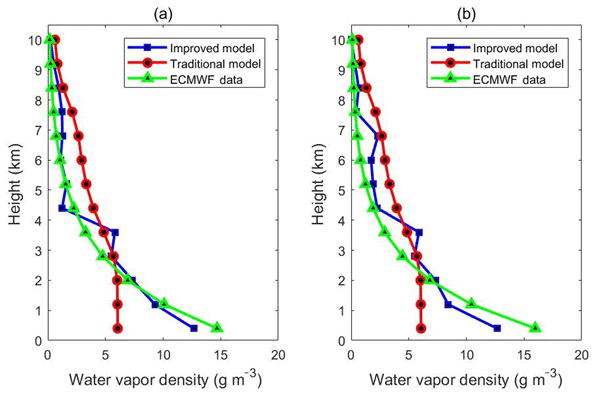 The use of ground-based observations is suitable for the assessment of atmospheric water vapour in climate models. We used water vapour observations from 100 European sites to evaluate two models: a reanalysis product and a regional climate model. The results reveal patterns in the water vapour distribution both in time and space that are relevant as water vapour plays a key role in the feedback process of a changing climate. The study investigates the long-term time variability of the integrated water vapour retrieved by different techniques (GPS, UV/VIS satellites and numerical weather prediction reanalyses) for a global dataset of almost 120 sites and for the time period 1995–2010. A stepwise multiple linear regression technique is applied to ascribe the time variability of integrated water vapour to surface measurements at the sites, but also using teleconnection patterns or climate/oceanic indices. The increasing number of navigation satellites orbiting the Earth and the continuous world wide deployment of dense networks will enable more present and future GNSS applications in the field of atmospheric monitoring. 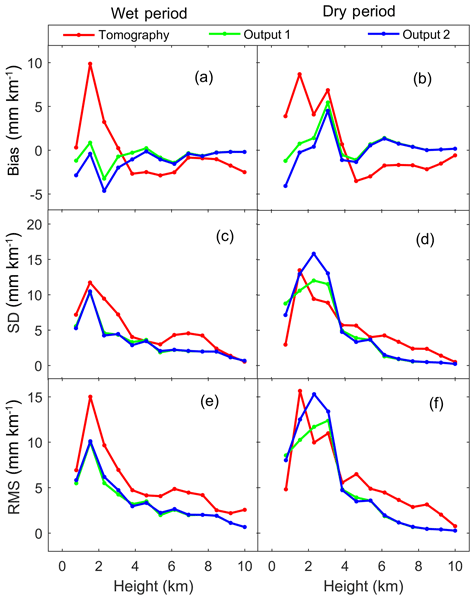 This study suggests some elements of progress in methodology to highlight the interest of ensemble tomography solution for improving the understanding of severe weather conditions, especially the initiation of the deep convection. 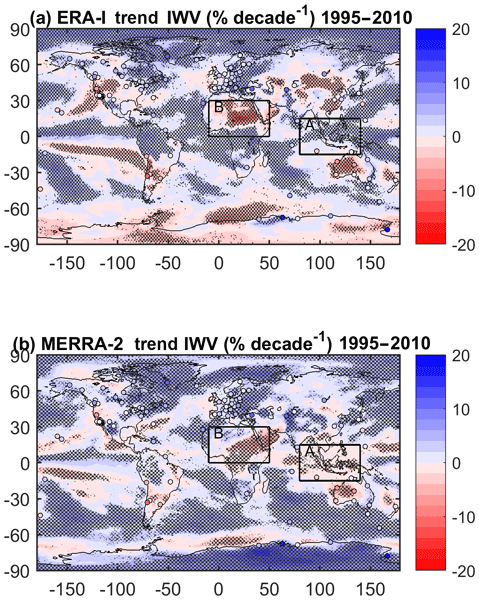 Integrated water vapour from GPS observations and two modern atmospheric reanalyses were compared for 1995–2010. Means, variability and trend signs were in general good agreement. Regions and GPS stations with poor agreement were investigated further. Representativeness issues, uncertainties in reanalyses, and inhomogeneities in GPS were evidenced. Reanalyses were compared for an extended period, and a focus on north Africa and Australia highlighted the impact of dynamics on water vapour trends. Within the EU COST Action ES1206 we have studied the horizontal variability of the atmosphere using signals from GPS satellites, distant quasars, and a microwave radiometer. We find a consistent picture: horizontal variability over time scales of months are mainly due the atmospheric pressure, whereas water vapour is the main cause for variations over minutes to hours. An understanding of these variations helps to improve the accuracy of GPS applications in geodesy and meteorology. The lack of collocated meteorological data at GNSS stations makes it difficult to take full advantage of GNSS observations for weather studies. This research demonstrates the potentials of retrieving accurate PWV from GNSS using adjacent synoptic data and generating high-quality PWV maps from the GNSS network for weather prediction in near-real time. Results also demonstrate that it's possible to reveal the moisture advection, transportation and convergence during heavy rainfalls using PWV maps. The purpose of the present study is to contribute to the understanding of the differences in integrated water vapour (IWV) measurements between Global Positioning System and other observing systems to characterize the uncertainties associated with GPS measurements in Finland. Results show that the GPS agrees with other instruments within 0.5 kg/m2 during winter. During summer the differences increase to 1.5 kg/m2 due to the spatial variability of water vapor in the observation region. 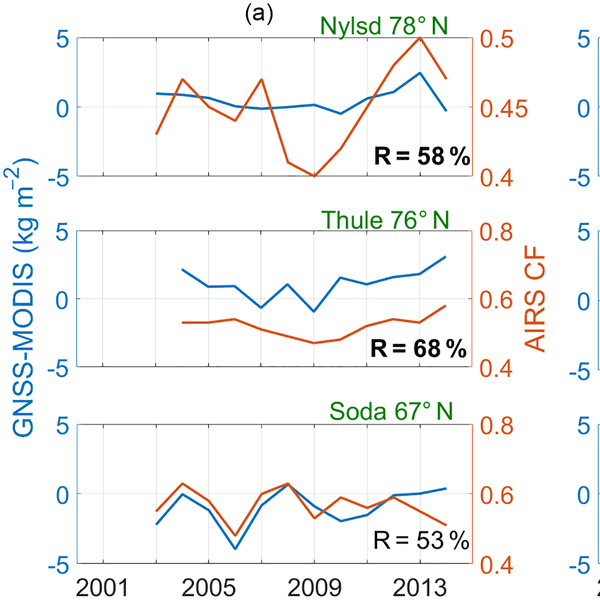 The current study provides intercomparisons of various water vapour measurements in the Arctic. It compares ground-based GPS observations with satellite measurements in the infrared (IR), near-infrared (NIR) and visible (VIS) through a specific method allowing us to quantify their uncertainties and limits. Unlike IR, satellite observations in NIR and VIS bands are mostly sensible to cloud cover during summer and to albedo variability over canopy or polluted snow-covered surfaces in winter. Atmospheric moisture-related information obtained from Global Navigation Satellite System (GNSS) observations from ground-based receiver stations of the Nordic GNSS Analysis Centre (NGAA) has been used within a state-of-the-art kilometre-scale numerical weather prediction system. 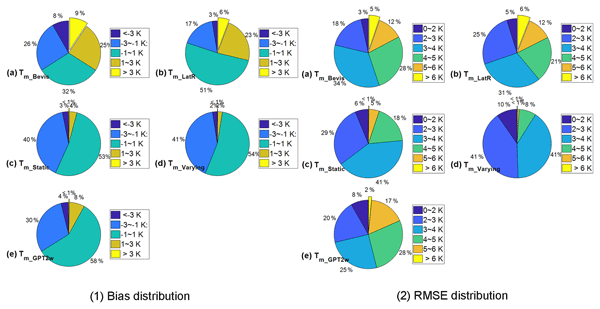 The sensitivity of results to aspects of the data processing, observation density, bias-correction and data assimilation has been investigated. Results show a benefit on forecast quality of using GNSS ZTD. The precipitable water (PW) was examined for the 2013 Colorado flood to determine how climatologically abnormal this event was. The seasonal PW maximum extended into early September and the September monthly mean PW exceeded the 99th percentile of climatology with a value 25% higher than the 40-year climatology. The above-normal, near-saturation PW values during the flood were the result of large-scale moisture transport into Colorado from the eastern tropical Pacific and the Gulf of Mexico. The second GOP reprocessing of EUREF network (1996 to 2014) produced GNSS tropospheric parameters for climate research. We performed and evaluated seven solutions and enhanced a strategy for the continuity of tropospheric parameters. 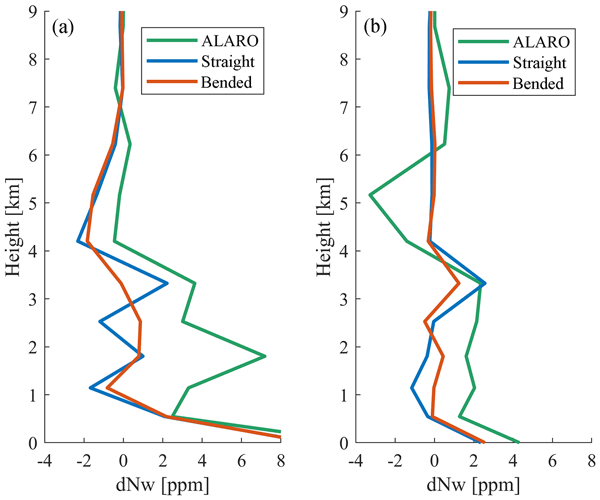 Compared with Repro1, Repro2 yielded improvements of 50 % and 25 % in repeatability of horizontal and vertical coordinates and 9 % in tropospheric parameters. Tropospheric gradients revealed a strong sensitivity to GNSS tracking demonstrated at Mallorca station. The use of ground-based GNSS data for climate research is an emerging field. The reprocessing activity under EUREF has been a huge effort, generating homogeneous tropospheric products to be used as a data set for monitoring trends in atmospheric water vapour. EPN-Repro2 data have been evaluated against RS and ERA-Interim data as well as in terms of ZTD trends. The obtained results show that they can be used for ZTD trend detection over Europe in areas where other data are not available. Here we present the use of GPS tropospheric zenith path delays combined with METEOSAT-10 water vapor (WV) and surface temperature pixel intensity values in order to obtain absolute integrated water vapor map distribution. The results show good agreement between the suggested strategies compared with available radiosonde precipitable water vapor absolute values. This can provide unprecedented WV temporal and special distribution, which can be used as accurate initial conditions in weather models. The recent dramatic development of multi-GNSS constellations brings great opportunities and potential for more enhanced precise positioning, navigation, timing, and other applications. In this contribution, we develop a numerical weather model (NWM) constrained PPP processing system to improve the multi-GNSS precise positioning. Compared to the standard PPP solution, significant improvements of both convergence time and positioning accuracy are achieved with the NWM-constrained PPP solution. Application of global navigation satellite systems (GNSSs) for atmospheric remote sensing (GNSS meteorology) is a well-established field in both research and operation in Europe. This review covers the state of the art in GNSS meteorology in Europe. It discusses 1) advances in GNSS processing techniques and tropospheric products, 2) use in numerical weather prediction and nowcasting, and 3) climate research. 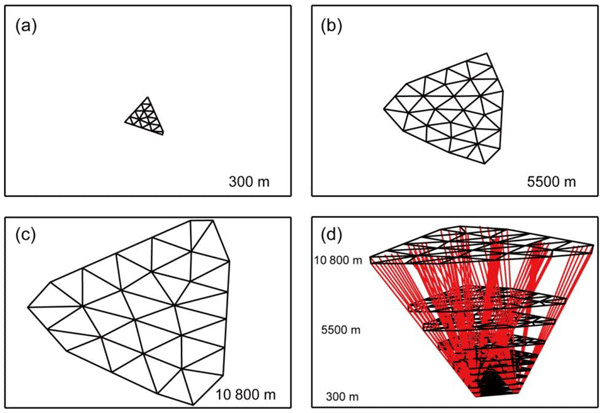 In this paper two official processing strategies of GPS observations were analysed. The main purpose was to assess differences in long-term (linear trends) and short-term (oscillations) changes between these two sets of data. Investigation was based on 18-year and 16-year time series and showed that, despite the general consistency, for selected stations a change of processing strategy may have caused significant differences (compared to the uncertainties) in estimated linear trend values. GNSS products provide observations of atmospheric water vapour. Advanced tropospheric products focus on ultra-fast and high-resolution zenith total delays (ZTDs), horizontal gradients and slant delays, all suitable for rapid-cycle numerical weather prediction (NWP) and severe weather event monitoring. The GNSS4SWEC Benchmark provides a complex data set for developing and assessing these products, with initial focus on reference ZTDs and gradients derived from several NWP and dense GNSS networks. Integrated water vapour (IWV) obtained from GNSS is to be developed into a GRUAN data product. In addition to the actual measurement, this data product needs to provide an estimate of the measurement uncertainty at the same time resolution as the actual measurement. The method developed in the paper fulfils the requirement by assigning a specific uncertainty to each data point. The method is also valuable for all applications of GNSS IWV data in atmospheric research and weather forecast.